From the bedroom to the main-room, our track engineering service can help you get there. In 2019 DJ Gym in partnership with London Sound Academy are creating systems and networks to take you from the bedroom to the main room! One of the biggest ways you can do this is to start releasing your own great music. We’ve been taking submissions already for our label but realised most tracks are not ready yet and most people need a little support to get there. Many new producers lack the experience necessary to fully polish their first track and the connections to attract a record label to release the track. It takes years to build the knowhow to make a track that is ready to send to record labels, but with our help you can speed up the process. Our new track engineering service will let you learn the process direct from the pros and you’ll come away with a finished product ready for mastering and release. It’s important to realise this is not a ghost-writing service. Ghost writing when a DJ pays a producer to make a track from scratch, with little or no creative input from the DJ. This has been likened to buying tracks off the shelf but has many long-term disadvantages. Firstly, in many cases you won’t own full copyright, and it’s not guaranteed the producer will be able to work with you long-term. If they leave you high and dry you career will suffer and you would be back at square one. 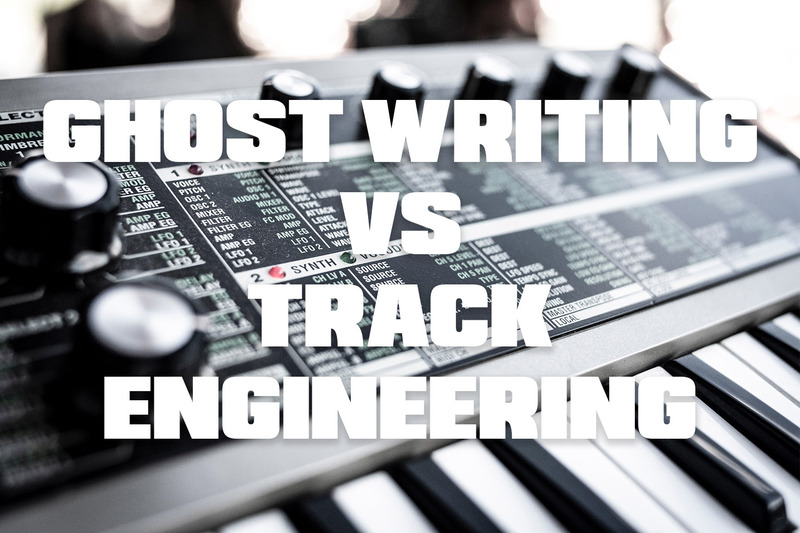 It’s far better to learn how to finish your own tracks but using a track engineer will allow you to learn while you get the track finished in a short time, meaning you can move your DJ career forward quickly. This service is designed to help you professionally finish an existing track, so we expect the track to be at least 50% complete. The tracks you submit can’t contain any samples you do not have clearance for. If you’ve bought samples from sources like Spice or sample packs you should be fine, but it’s always good to read the small print. Do not have too many stems, the more stems the more time it will take to complete and the more expensive it will end up being if you need to book extra time to work on the track further. £400-£600 depending on the complexity of your track. If you have very complex tracks with multiple revisions this may increase but we will break down the costs in your free track review. Get free feedback and see if you’re selected. Implement our advice and fix any fundamental errors. Attend two engineering sessions at the studio with the producer to watch them finalise. your track. This will help you learn more about the process. The producer will then finish the track in their own time. You give feedback and we make final adjustments. You send the track to get mastered. Option to sign the track to LSA records for release. Send your submission via a private Soundcloud link to submittolsa@gmail.com and wait for our reply. Do not send us the actual files and do not send public links. Once we receive your track we’ll listen and provide you with free feedback and tell you if your track has been accepted for this service. We will only be taking a limited number of tracks.